Why would I need self storage in Skokie, IL? There are a variety of reasons why you might need self-storage in Skokie, IL. How much is a storage unit in Skokie, IL? The cheapest storage unit in Skokie, IL is $26.00 per month. What size storage units do you have available in Skokie, IL? In Skokie, IL we have sizes that range from 5'x5' to 10'x30' to suit your storage needs. How much is it for a 5'x5' storage unit in Skokie, IL? The cheapest 5'x5' storage unit in Skokie, IL is $71.00 per month. 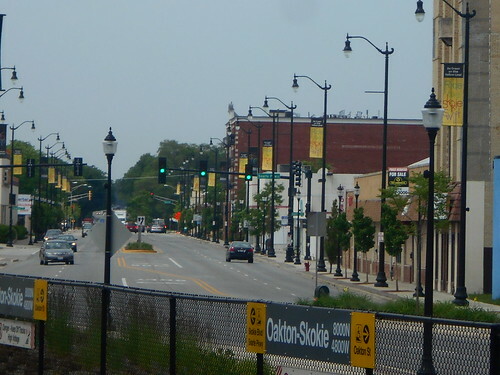 Located about 15 miles north of Chicago, Skokie is a thriving village connected to surrounding communities along the shore of Lake Michigan by highways, buses and rail. The village's award-winning parks and recreation department maintains numerous public parks, spanning hundreds of acres and including several recreational facilities. Skokie is also home to plenty of shopping, dining and entertainment options, earning it a spot among the most desirable suburbs in the area. In the early 19th century, the area where Skokie now sits was mostly forests and swamplands skirting Lake Michigan. However, by the mid-19th century, the small village had grown substantially, establishing its first school districts, residential homes and postmaster. At the turn of the century, the arrival of the Chicago and North Western Railroad allowed residents and visitors to travel between Skokie and Chicago easily. The area saw a major real estate boom throughout the 1920s, and large parcels of land were subdivided for development. Apartment buildings and Chicago-style bungalows were constructed to provide residential housing, offering an affordable place for city dwellers looking for a quieter lifestyle. The Great Depression put development on hold for quite some time, but the 1940s and 1950s and the baby-boom generation reignited Skokie's rapid growth. Skokie is still a large, welcoming village with lively residential areas and a vibrant downtown. The village establishments range from public libraries to colleges to museums. The Chicago Transit Authority's Skokie Swift rail line offers residents quick access to the city, making this village a top choice among Chicago suburbs. If you're going to be joining the Skokie job market, you'll want to start with the largest employers in the area, which span a number of industries including health care, manufacturing, retail, education and government. Together, health care company NorthShore University Health Systems, manufacturers Federal Mogul and Woodward MPC, retailers Macy's and Nordstrom, and Niles Township High School District #219 provide thousands of jobs in the area. The Skokie School District oversees the public primary schools throughout the village.Two of the Niles Township high schools have received numerous national awards for high-quality education. The village is also home to four colleges and universities that offer post-secondary education and a variety of degrees. Utilities: Nicor Gas and Commonwealth Edison are the area's major energy providers. The village utilities department oversees water and sewer services. Trash and Recycling: Disposal cans are provided for the collection of trash and recyclables. Trash is picked up twice a week, while recyclables are collected weekly. Transportation: The Chicago Transit Authority and Pace Bus system operate public transit routes throughout the community. There are two commuter parking lots available, making it easy to utilize public transit on a daily basis. Vehicle Stickers: All vehicles are required to be registered with the village and to display a village vehicle sticker. Like many Chicago suburbs, Skokie has a pleasant mix of high-density apartment housing and spacious single-family homes. If you're looking to rent an apartment, there are many buildings along the village's main streets, like Skokie Boulevard and North Broadway. Single-family homes are generally located near the village's green spaces, like Warren Park and Rogers Park. Our lowest priced units in Skokie, IL average $45.00 per month. 120 people have reserved units in Skokie, IL in the past 30 days. There are 3 locations within Skokie, IL's city limits. There are 2 locations in Skokie, IL that offer AC and Heating features.